March 7, 2017	Eddie Villanueva Jr. I can’t really get enough of these Honest Trailers! These things are truly the stuff of comedy gold, and whenever a new one debuts, I get super stoked to check it out…except for maybe this one. Look, I really liked Moana. It was so fun and cute film that even my wife fell in love with it, and that’s a difficult thing to do because she’s not a movie person! So when I heard that our friends at Screen Junkies decided to make an Honest Trailer about Disney’s smash hit from 2016, I was a bit hesitant to see it. Honestly, I love to make fun of obvious flaws and formulaic tropes as much as the next person. Heck, I’m one of the biggest fans of Honest Trailers! But this one had me a bit worried…until I actually saw it. 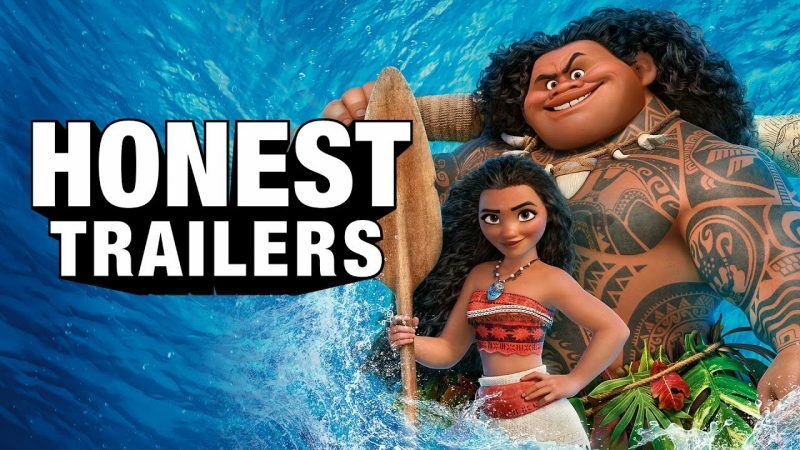 The thing is, this is probably one of the best Honest Trailers yet! It was funny, and honest (duh), but still cares for the property. From the Disney formula that is usually used in their films, to the score and music that seems a bit oddly familiar, this is another no-punches-pulled Trailer that is sure to make fans laugh themselves silly! Check it out!